Cooking dinner for a family can be daunting. Especially when you have picky eating children. So Lawry's was here to help. It would help mom convince her picky-eating children that what she was cooking was not only gonna be delicious, but was gonna be really cool too. 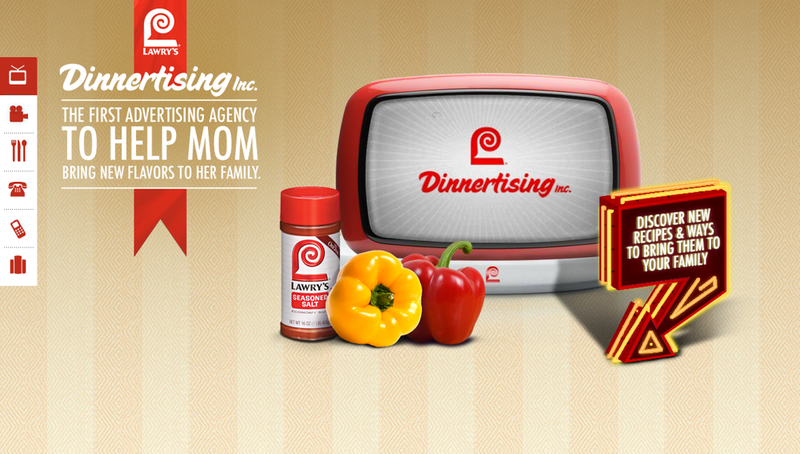 Introducing Dinnertising Inc., the world’s first and only full-service advertising agency dedicated to helping mom sell her delicious home cooked meals to her picky eating children. We created a website where parents could create a commercial starring their family and kids, featuring the dinner she was making that night. The videos could then be sent to her kids via text or posted on their social channels. We also created a 1-800 hotline where parents could choose specific super awesome characters to call their kids and get them stoked on dinner. On the agency website mom could create real THE SUPER-COOLEST commercial to entice her kids to try new foods. While also serving as a fun way to organized recipes, the website also established a hotline that gave cooking advice, and allowed parents to enlist the help of a superhero, boy band or unicorn to call your family by dialing 1 866 67 YUMMY. 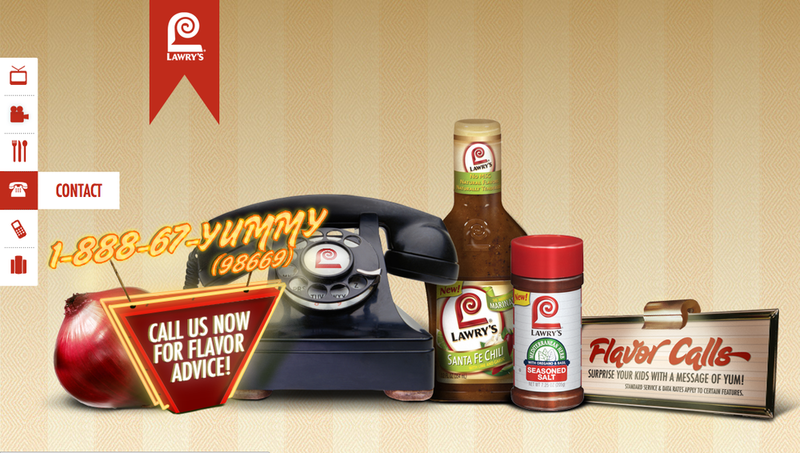 In the end we garnished over 2 million clicks in just four weeks and 95,000 new Facebook Fans for Lawry's. Plus we helped a lot of parents get their kids stoked on dinner.